Even though it’s theoretically possible to design a desirable budget deal that includes a tax increase, I’m a big advocate of the no-tax-hike pledge for the simple reason that – in the real world – support for genuine spending restraint and real entitlement reform evaporates once politicians think higher revenues are an option. Heck, bumping into the Loch Ness Monster while riding my unicorn is more likely than an acceptable budget deal including tax hikes. Though I confess that my anti-tax resolve sometimes gets a bit wobbly when I think about unsavory tax breaks such as the ethanol credit, the state and local tax deduction, and the healthcare exclusion. I have to remind myself that while these provisions are very odious, they should be repealed as part of tax reform rather than as part of some deal that gives politicians more money to waste. Now there’s another example of a tax that is very tempting, and it comes from my home state of Connecticut. When I was growing up, the Nutmeg State didn’t have an income tax and it was a refuge for overtaxed New Yorkers. But then an income tax was imposed in 1991. And ever since politicians got their hands on this new source of revenue, the burden of spending has skyrocketed and Connecticut has become a fiscal dystopia. So you would think I’d be reflexively hostile to additional tax hikes by the politicians in Hartford. And I should be, but I’m perversely intrigued by a new levy they’re considering. The Wall Street Journal opines on the proposal. …most Yale University professors are proud to be progressives. Well, they are now getting the chance to live their convictions as Connecticut Democrats attempt to soak Yale’s rich endowment. Democrats in Hartford have proposed taxing the unspent earnings of university endowments with more than $10 billion in assets. Only Yale’s $25.6 billion endowment—the country’s second largest after Harvard—fits the tax bill. Yale’s tax-exempt investments earned $2.6 billion last year, eight times more than the University of Connecticut’s $384 million endowment. Oh, the inequality! …Hartford is already taxing anything that moves. Last year Democrats raised the top individual tax rate to 6.99% and extended a 20% corporate surtax. The tax hikes precipitated General Electric’s decision in January to move its headquarters to Boston. Between 2010 and 2015, Connecticut lost 105,000 residents to other states. For the last five years, it has recorded zero real GDP growth. Nobody should be double taxed on income that is saved and invested, so my mind tells me that the right approach is to give all taxpayers the treatment now reserved for places like Yale. But my heart tells me the opposite because it’s galling that Yale is dominated by statists who presumably want higher taxes on the rest of us, so maybe it’s time they swallow some of their own bitter medicine. But the way, it’s not just state politicians that are salivating to pillage Yale. It’s now being reported that city politicians want a slice of the action. The mayor of New Haven is backing a push to revisit an 1834 Connecticut statute affecting taxes for Yale University, saying new guidelines are needed to assess liability for the institution… “Since taxing real estate and other property is the only form of municipal taxation allowed by state law, more modern guidelines as to what’s taxable and what’s tax exempt are essential,” New Haven Mayor Toni Harp said this week in testimony supporting the legislation. …The Ivy League university has strongly objected to proposal. Gee, I wonder if Yale also “strongly objected” to the various big tax hikes that have savaged the state’s investors, entrepreneurs, and small businesses? Or is their battlefield conversion against tax hikes solely a selfish gesture. Needless to say, I’m sure it’s the latter, which is why part of me is thinking it would be rough justice if the jackals in state and local government descended on Yale. That being said, I certainly don’t like the idea of these profligate politicians getting their greedy hands on even more money. 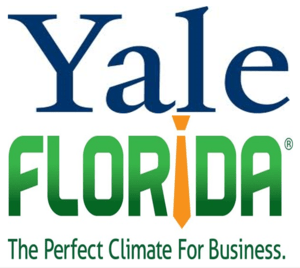 So if they do impose taxes on Yale, I hope the university will consider a very thoughtful invitation from the Governor of Florida. Hmmm…. Better weather and no state income tax. Sounds like a good deal to me. And since Florida doesn’t double tax anybody, Yale’s leftist professors could sleep easier at night since they no longer would be hypocrites who work at a school that enjoys tax-free status on its investments while neighbors are being taxed. P.S. I should add Yale’s anti-tax leftists to my collection of statist hypocrites. P.P.S. I might be willing to accept a tax hike if it somehow could be designed so that it only applied to advocates of higher taxes. P.P.P.S. While some tax distortions are destructive, some are simply bizarre.